A Rare Chance For UK based fans to play the game and enjoy a day of Sonic filled fun. Originally a project set up by the Online Sonic Community at large the first Summer Of Sonic in 2006 marked out favourite blue hedgehogs 15th birthday. Hailed as a huge success involving articles, artwork, competitions and interactive events from every corner of the Sonic community it’s only natural that such a brilliant idea would be followed up. All was quiet for Sonic’s 16th but this the 17th year of the Hedgehogs existence an entirely new concept of the Summer Of Sonic has been created. Being held at the Covent Garden Dragon Hall Trust in Central London on the 9th August this time the Summer Of Sonic is an event to experience. It’s the first Sonic convention of it’s kind that can think of and will include such things as an area to play the old games, see art work, create your own art, look at rare Sonic merchandise and generally have a good time with fellow fans. Sega Europe are helping to organise the event but it must be stressed this was a fan idea first and has mostly been sorted by the fans. But working with Sega does have certain advantages. Firstly is the announcement of a number of special guests, the first being Lee Brotherton, who created Silver’s theme for Sonic 06 and has remixed various other Sonic tracks for the Shadow the Hedgehog game and music CD releases. Further guests will be announced very shortly. The most exciting news as far as I’m concerned is the fact that Sega are bringing along a playable version of Sonic Chronicles! Its being demoed on only one DS unit so that means the time spent playing will be brief but a chance to play a Sega game, especially a Sonic Sega game before release in the UK is a rare one and well worth being excited about. So if you live in the UK or can get to London on the 9th August from 10am to 5pm it’ll be well worth heading down. All you need to do is register on the website here and get down there. TSSZNews will be there to give you a rundown of the action should you be unable to attend. 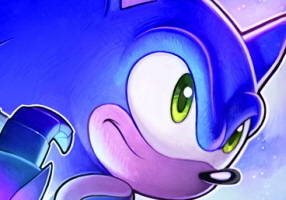 After a few years in the wilderness but with two genuinely exciting games in the horizon and an event such as the Summer Of Sonic it’s now a very good time to be a Sonic fan.